For many of us, this means yard work season is upon us again. Millwood’s own giving garden is getting started for the summer, and home-owners across the country are getting ready to plant their flowers, veggies and other landscaping masterpieces. Before you start planting, consider the cost-effective ways a pallet might improve your home exterior. 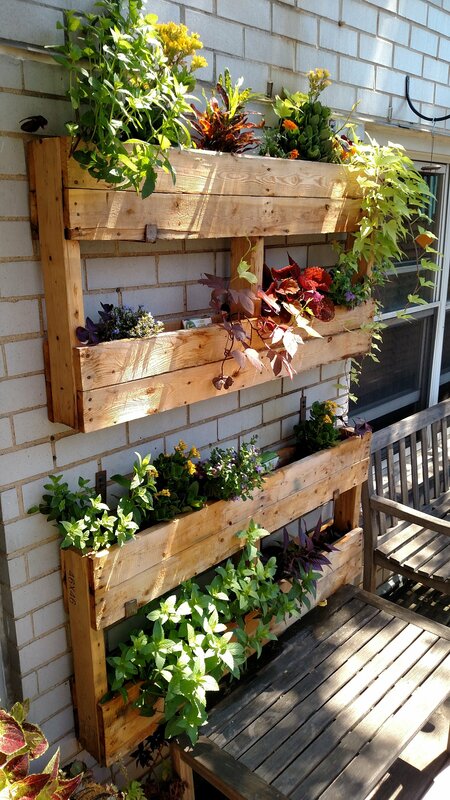 One of the most popular DIY pallet projects is to create pallet planters and raised garden beds out of pallet materials. Some are as simple as shelving for potted plants, while others are more elaborately tiered vertical gardens. You can check out the variety of options with instructions on how to build each here. Not sure where to get your pallet wood? Liberty Direct sells small quantities of pallets, perfect for the enthusiastic crafter in your life.